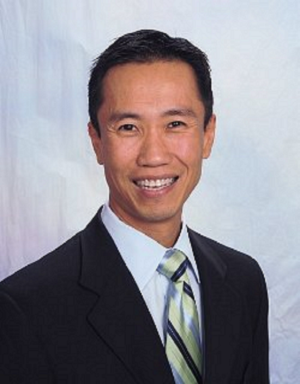 Dr. Thai graduated with a Bachelor of Arts degree from Washington University in St. Louis, Missouri, and his Doctorate of Medicine from The University of Oklahoma College of Medicine. He completed his anesthesiology residency at St. Louis University in 2005 and then went on to carry out fellowship training in pain management at The University of Texas Health Science Center in San Antonio. Upon finishing his fellowship and before relocating to Austin, Texas, he practiced pain management in Kansas City, Kansas, for over 3 years and was instrumental in starting two pain management clinics at hospitals in Kansas City. Dr. Thai has been practicing in Austin, TX for 10 years. He practices with the goal of always placing the patients’ safety first. He offers the latest, minimally invasive treatments available to improve and restore patients’ daily function. Dr. Thai is board certified in both Anesthesiology and Pain Medicine by the American Board of Anesthesiology and practices comprehensive pain medicine on a full-time basis and has over 13 years of experience. When not practicing, he enjoys traveling and spending time with his family.